Heat Ceadr nut oil in a pan. Add butter and follow immediately with leeks and onions. Saute at low heat for about 10 minutes. Add a pinch of salt. Dressing is ready. Place potatoes into the boiling water. Simmer for 20-25 minutes, until potatoes are tender. 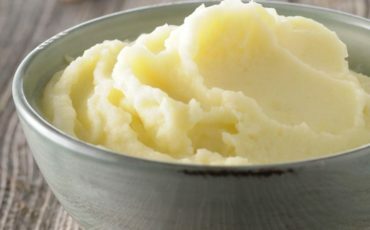 Mash the potatoes in a blender or by hand. Mix the potatoes with the dressing and season it with salt and pepper and garnish with parsley.